Golf balls can be expensive. Titleist Pro V1x’s sell for around $45 a dozen. That’s nearly $4 per ball! And just a sleeve of those? $15! That’s $5 per ball! To begin with, you might be buying balls that you simply don’t need. Either they aren’t fit for your goals, or your game is simply not good enough to get the benefit from them. A more expensive ball is NOT a longer ball. For example, a Pro V1x is not longer than a good budget golf ball by any means. The more expensive ball, typically, will just allow you to spin the ball more around the greens. It has more “feel” to it, as you might have heard before. A more expensive ball will allow you to be more precise with your irons and wedges. The ball will not roll out as much as a cheaper, harder golf ball will. Pitches and chips will “check up” (stop on the greens) quicker than a cheaper, 1-piece golf ball will. Lastly, the ball will feel much better at impact, with every club, with a more expensive golf ball. All of the things that I just mentioned, however, serve almost no benefit to someone that doesn’t have a very solid golf game in general. A beginner, or even a mid handicapper, will not benefit a great deal from an expensive golf ball. It would make much more sense to find a good “budget” golf ball that performs nearly just as good. 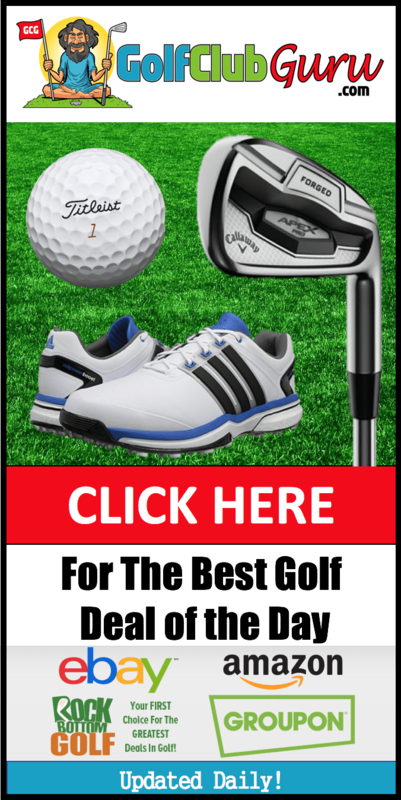 If you are new to golf, in my opinion, the golf ball makes hardly no difference at all. You need to learn a ton of things, and improve your game in a lot of ways, before you even consider shelling out decent money for a ball. You should really be using used balls anyway! Instead of buying one of the higher end golf balls on the market, my advice to you would be to switch to a similar ball at a much lower price. There are some great alternative golf balls that will end up costing nearly half as much as their competitors. Another point to get across: If you normally buy golf balls in stores, you are likely paying more than you have to. Don’t mind paying the extra five dollars each dozen to support your club or local store? Good, no problem! 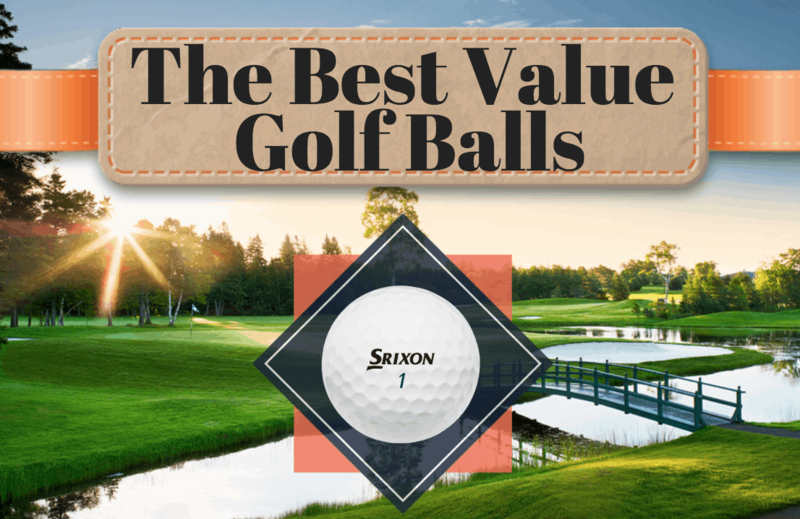 If you want to save the extra money, though, I would definitely recommend that you buy golf balls on Amazon or my personal favorite golf ball dealer website. This was my favorite golf ball in high school days. I didn’t have much money to spend on golf, and I was lucky enough to get gifted these balls on one of my birthdays. 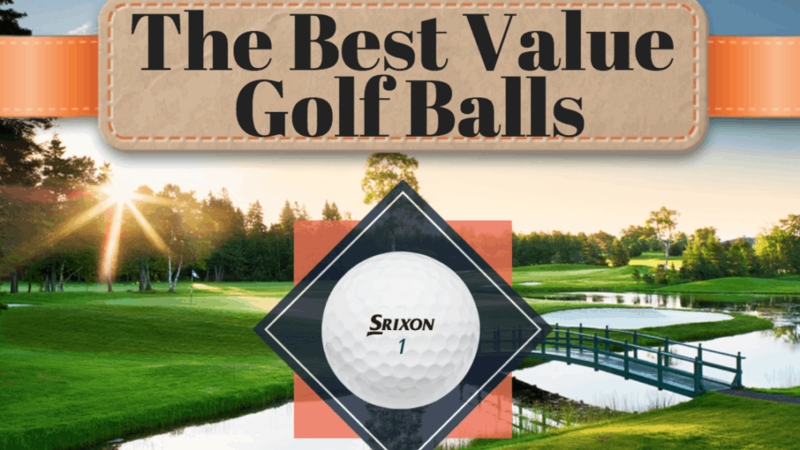 I wasn’t thrilled at first because I hadn’t played many Srixon balls, but I was super impressed when I took them to the course. The ball felt like a premium ball off the face of the club, and it flew straight and far. It reacted fairly well around the greens, when compared to a golf ball 3x it’s price. I don’t like buying golf ball brand new. But if I ever needed to, I would go for this ball 100%. If you are looking to spend a good bit under $20 per dozen, this is absolutely the ball for you. It typically sells for around $15 for a dozen balls. That’s an absolute steal, considering each ball is hardly over $1 each. During the 2018 US Open, they were selling for around $10 a dozen, so you might want to hold out for a deal like that again if you are not in a rush. If you want to save even more, buy a larger lot or even a slightly used lot. If you are on the market for a premium ball, but your wallet is shouting at you to save some money and find a good alternative, look into the Callaway Supersoft balls. They are very soft off the clubface, leading to great feeling at impact. They will spin very well around the greens, not allowing a lot of roll out. I felt like they performed well when it came to distance, as well. The only downside is that I feel like my wedges scratched the balls up pretty good, but I got a great amount of use out of them. Overall, they are a great alternative to a Callaway Chrome Soft. For around $20 and free shipping, this is a deal that is hard to beat. If you are looking for the most durable ball on the market, you might want to look elsewhere though. No shame… I used Titleist Practice balls for a very long time. I got a lot of funny comments about them, but I am the one that is really laughing. I bought a huge lot, after doing lots of research on what the practice balls really were, and I never looked back. Practice balls are simply balls that typically have a MINISCULE physical imperfection. This is mostly about the stamp of the golf ball. Even the smallest difference in uniformity is set aside, stamped with “PRACTICE”, and sold for a big discount. I ended up converting many players to playing with practice balls. You can even use them in tournaments, as they are treated as logo balls. If you can get over the big word in all caps on your ball, then take the plunge and save some money already! They perform EXACTLY like a $5 brand new Titleist Pro V1x. I’ve never hit a shot and then wondered if the ball was going to impacted by the physical blemish. Make sure you are not confusing Practice Balls and Refurbished balls. Refurbished balls are applied with a new layer of paint on the top, and they will definitely fly differently than their brand new counterparts. Practice balls, however, are identical to the real ones, only with unnoticeable blemishes. Trust me, Titleist would never sell ANY ball, even a practice ball, that would be significantly impacted in the air by the imperfection. Another option for you that love saving money but still want to play the best ball on the market is to buy a large lot of AAAA balls. AAA balls are not in good enough condition, but AAAAA are too expensive. So, AAAA golf balls are the perfect mix in my opinion. You can get a ball for a little more than $1, which is debatably an even better deal than the Practice Balls. 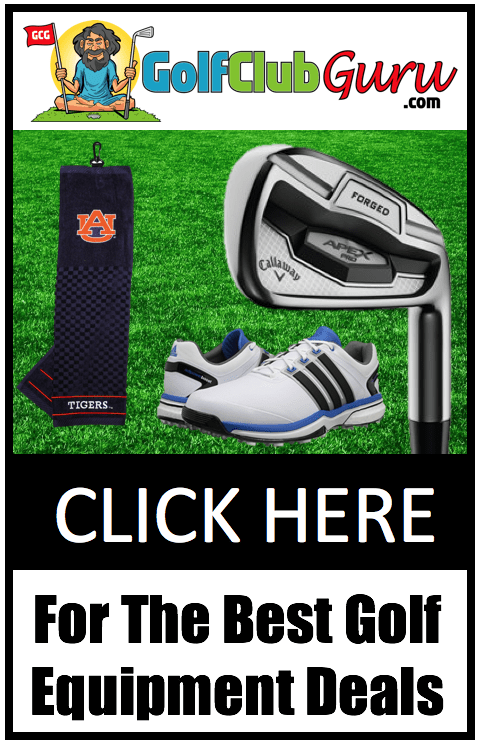 My favorite site to buy used golf balls has great deals for new customers. Even if you aren’t new, they put out incredible deals during pro tournaments for around 20-30% off all orders. If you don’t care too much about feel around the greens, and would rather get a few extra yards out of your drives, check out Noodle golf balls. Noodle, owned by TaylorMade, has a great reputation for beginners and high handicap golfers. The ball is meant to fly far. Period. It won’t check up around the greens. It will feel a little harder upon impact, but it will get the job done. For less than $1 per ball, this is the perfect ball to get to outdrive your friends on a budget. I even knew a guy that was a very competitive high school golfer that used this ball for all rounds except tournament rounds. He saved a lot of money throughout high school, well the majority of the rest of the team was buying expensive, new Bridgestone and Titleist balls. Definitely wouldn’t recommend making a change like that for tournaments, but that just goes to show you how Noodle is such a great value golf ball. I have read several excellent stuff here. Definitely value bookmarking for revisiting. I surprise how a lot effort you set to make one of these great informative site. Hiya very cool blog!! Guy .. Beautiful .. Superb .. I’ll bookmark your web site and take the feeds additionally…I am happy to find a lot of helpful info here in the submit, we want develop extra strategies on this regard, thanks for sharing.